I’ve loved the idea of using a clothesline in math class. I first read about the strategy from Chris Shore and Andrew Stadel and have been looking for ways to work it into my classroom. Calculating the slope of a line from a graph was coming up in my grade ten 2P course and I thought a clothesline will be a great fit. We had just finished Fawn’s lesson on steepness with staircases that I found linked from Mary Bourassa’s site. From that lesson my students understood the idea of calculating slope by finding the vertical change and dividing it by the horizontal change, but hadn’t done anything abstract on the coordinate grid. 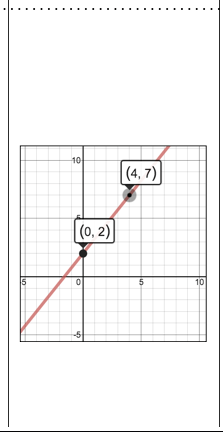 Practice calculating slope of a line using two points on a graph. 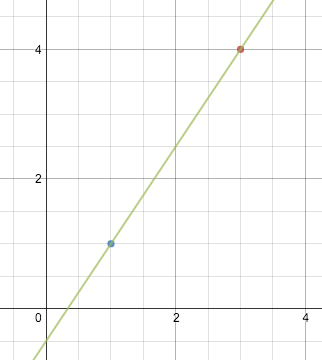 Practice calculating slope of a line given two points (no graph shown). 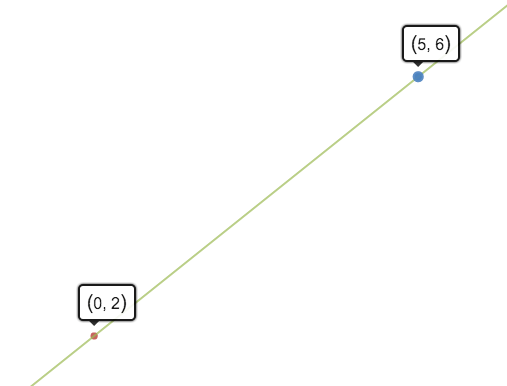 Compare steepness of lines to other lines using the slope. Connect lines that go downward with negative slopes and lines that go upwards with positive slopes. we agreed No. We needed to some measurements! I asked what we could do….a student said “you could give us the grid” Bam! I threw it on there. Enough Now? Still no! We needed the x and y axes. As soon as I dropped the axes on…..I could see them all counting and calculating. It was time to start comparing using a clothesline. 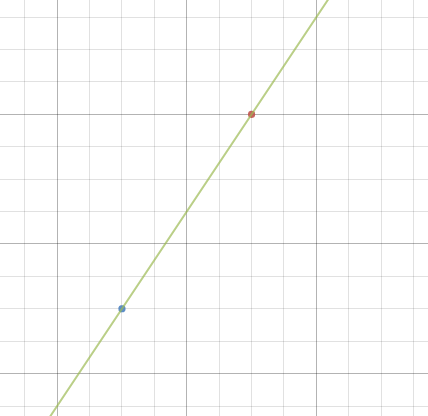 @MrOrr_geek What do you think about using a fixed point for each graph? For example (0,2)? @mr_stadel hmm. Liking that. That would be good for this group of Ss for sure. @MrOrr_geek if you have the fold-over card they could write it on the back (or inside) so that ss can figure it out but double check ?  @MrOrr_geek love this! Include some that are just ordered pairs. Where would you put an undefined slope? I hung two clotheslines across the room. I placed benchmarks of zero and one on the line. I held up the benchmark of -1 and asked students “where would I place this -1 on the line so it’s right?” They yelled out “more right, more left, LEFT!” until we agreed where it should be. 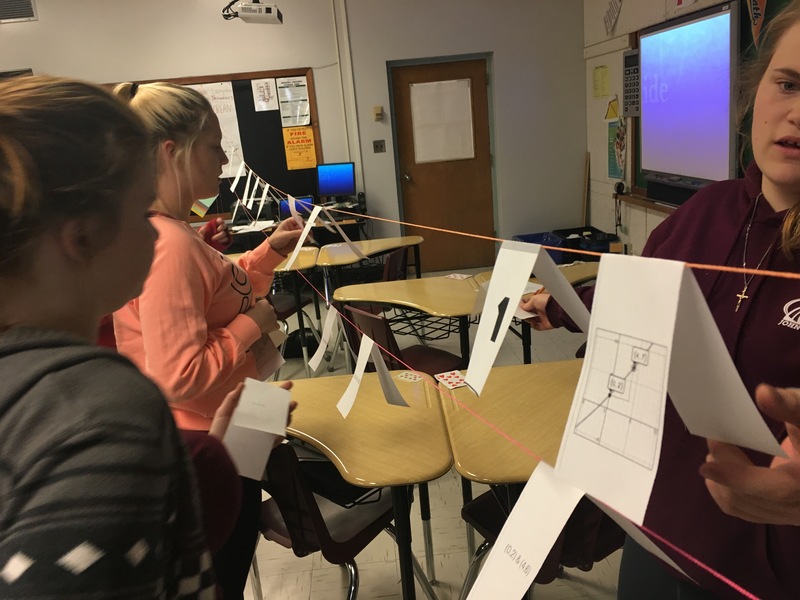 I had whipped up a set of graphs with lines for students to place on the top clothesline and a set of corresponding ordered pairs for students to place on the bottom clothesline. 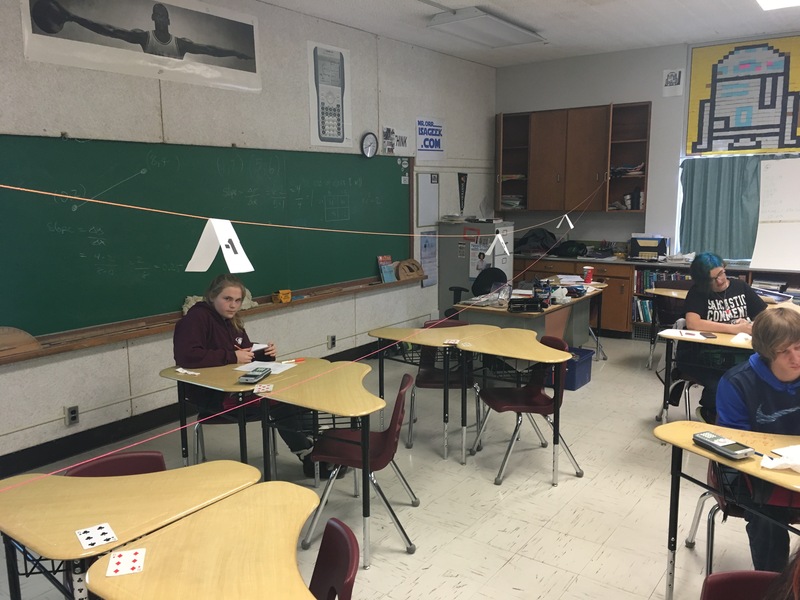 I scattered the cards across a table and asked students to choose any card, calculate the slope of the line and then place the card in the right spot on the clothesline. 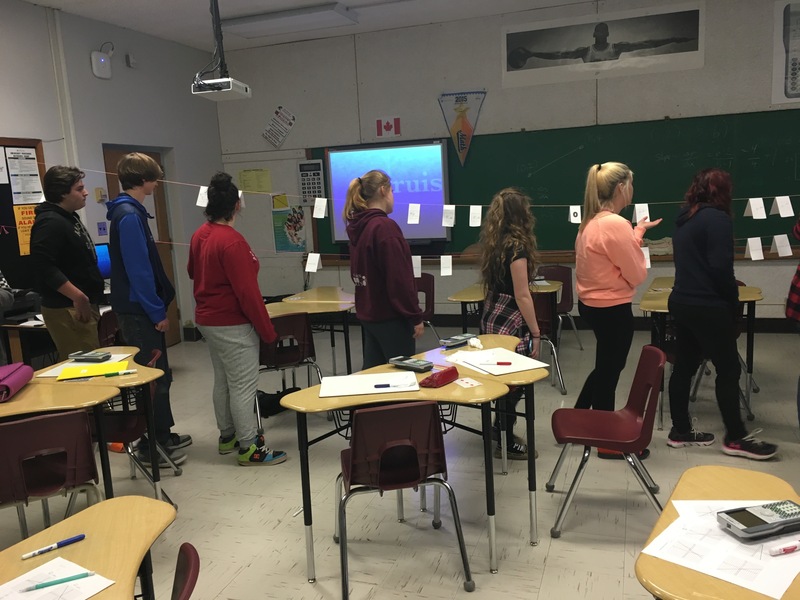 The majority of students calculated the slopes fine but were not confident with their answers…and therefore very hesitant on placing the cards on the clothesline. They wanted me to verify their answers before they placed them. They, however did very well determining where to place the cards. After all cards were placed I noticed a few errors in placement and asked students to go back to the line and check to see if any seemed out of place. We had some great talks on why we knew some were wrong and I heard “All the negative slopes should be on this side” and “that one seems steeper than that one, so it should be here” Once we had placed all the cards we did a gallery walk. I wanted them to see how the steepness changed as we move from negative to positive. This animation shows the gradual change in slope the students would have seen. We used the patterns to discuss what a line would look like if it had a slope of 0. 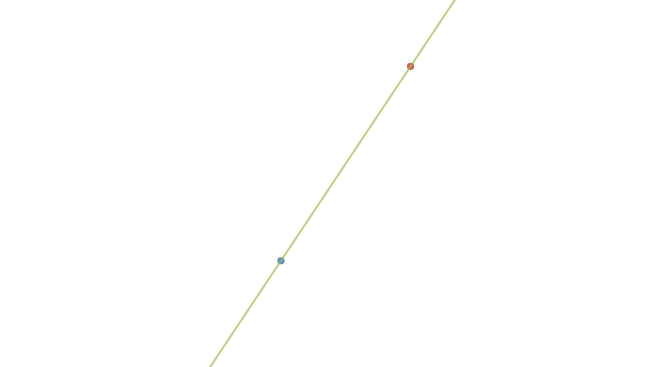 There were two lines with a slope of one….I picked them up and we could see talked about parallel lines. Class finished with us doing two more problems of finding the slope of a line between two points. I don’t think this lesson was perfect. Could you help me out and provide some suggestions/feedback for me? Love it! Love that is an all class calculating activity and the idea of the gallery walk at the end to see it all together. Nicely done. Hey Jon. Way to take the plunge and try an activity using clothesline. I’m sure with more experience, both you and your students will gain confidence in the mechanics of the clothesline, allowing you both to better focus on the conceptual thinking of math. Thanks for making and sharing all the cards.